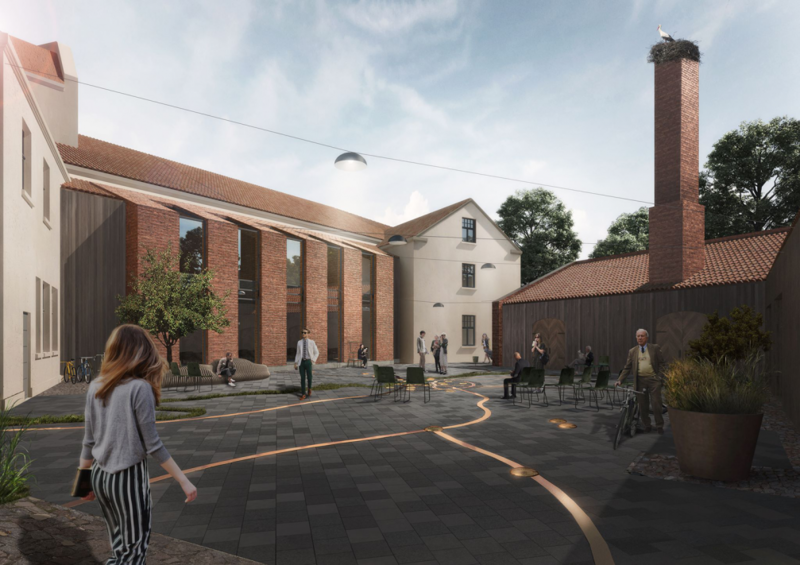 In an unanimous decision the Kuldīga County Council committee awarded the first place in the architecture sketch competition for Kuldīga Cultural centre to the office «MARK arhitekti», the second place — to the association of «Trīs arhitektūra», «Lauder architects», «A. 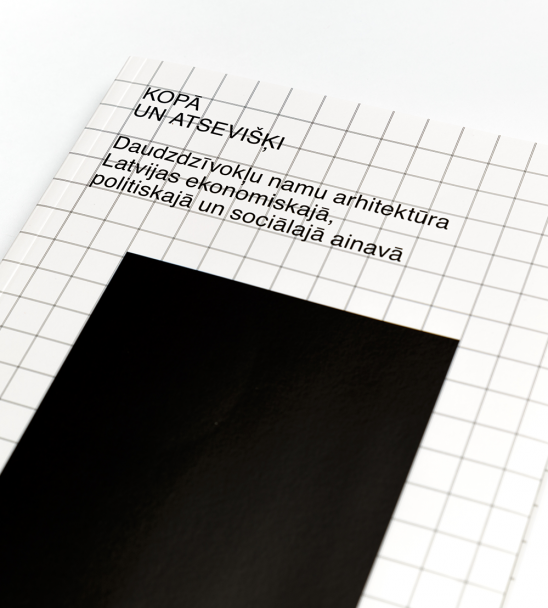 Ābeles inženieru birojs» and «Acitektura», bet the third place went to architecture office «NRJA». 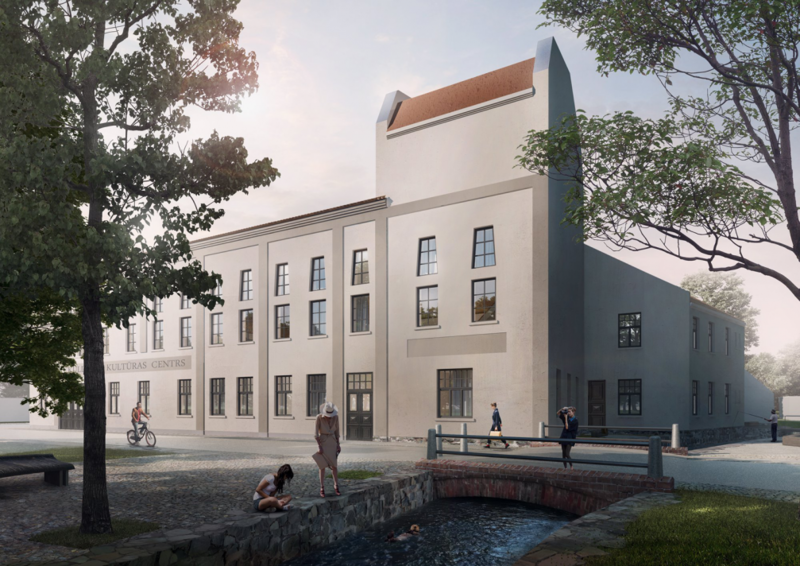 The architectural vision of «MARK arhitekti» retains the cornice and ridge lines of existing buildings towards all streets and places the new volume in the inner courtyard, including it into the urban fabric of Kuldīga historical buildings. 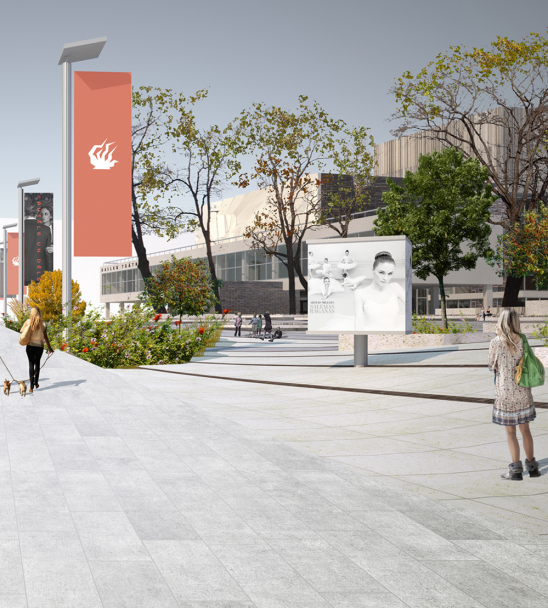 The inner courtyard is transformed into a public, multi–functional outdoor space that respects the principles of urban landscapes characteristic to Kuldīga city. 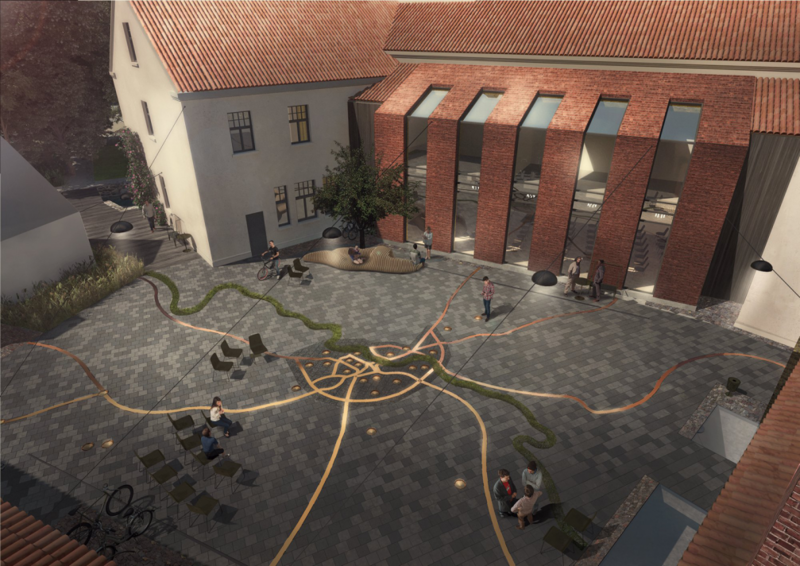 The architectural concept of the courtyard is conceived in collaboration with the landscape architecture studio «Alps» and proposes to emphasize the historical connection of Kuldīga with cinema by mapping the filmography of the city and the county in the courtyard ground cover using various materials. 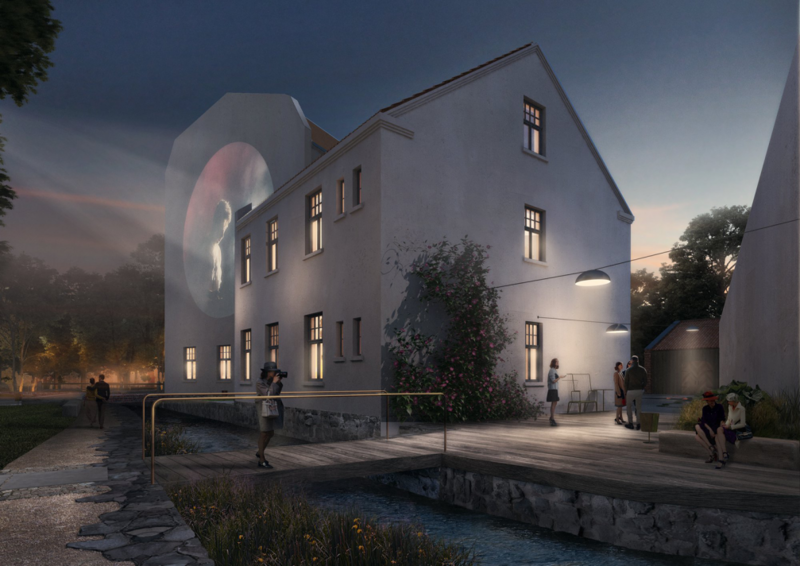 The architects also propose to include Kuldīga Cultural centre within the pedestrian promenade of Alekšupīte by extending it with stopping points at the Cultural centre courtyard, St. Anna Lutheran church and the Mill pond. 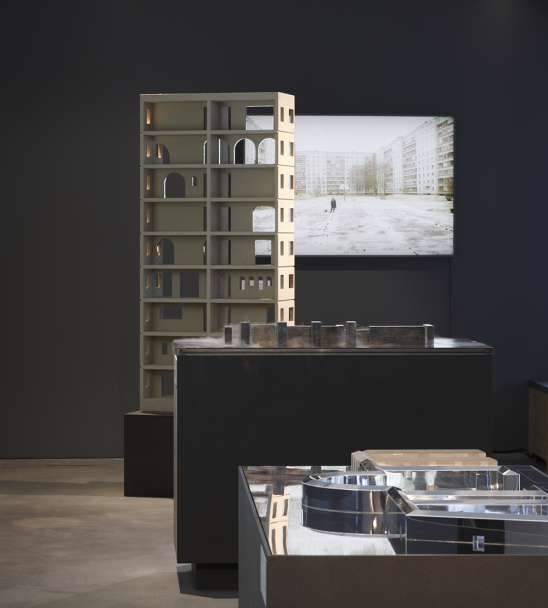 The sketch competition jury was comprised of members from the Latvian Association of Architects, the Heritage board, Kuldīga City Construction board, Kuldīga City Council and Kuldīga Cultural centre. 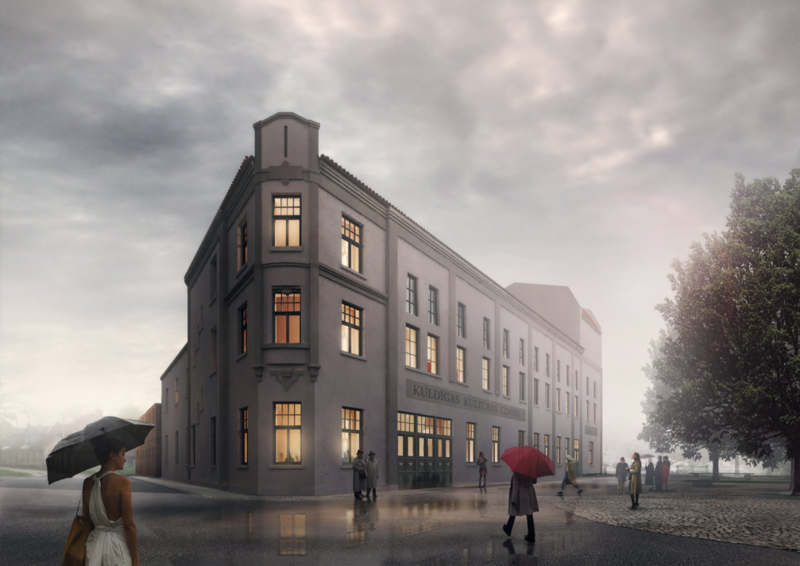 The sketch competition for the renovation of Kuldīga Cultural centre buildings and the courtyard was held for the third time since previous solutions did not satisfy the functional needs set forth in the program. 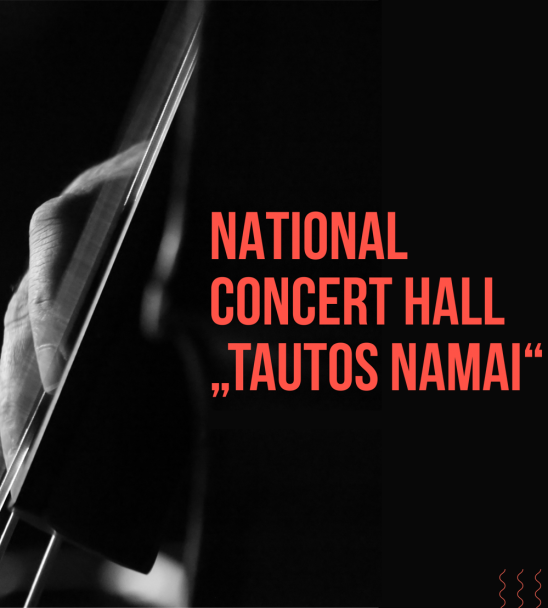 Kuldīga City Council hopes to continue to work together with «MARK arhitekti» and plans to start construction next year. 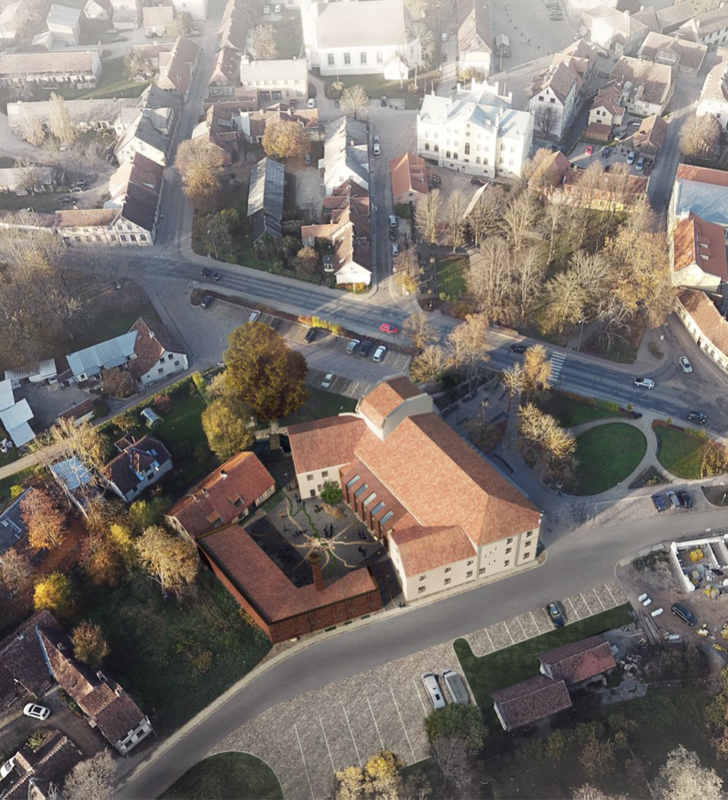 Full documentation of all proposals is available at the Kuldīga City Council webpage.